Because we’re open to the world’s possibilities, so are you. Our clients’ best interests are our best interests. Dedicated to creating and safeguarding the future you envision. Honesty and disclosure: pillars of our business. First, foremost and always in everything we do. We manage your investment portfolio with a thorough, disciplined quantitative and qualitative approach to analyzing the financial markets and rigorous assessment of the risks and opportunities they hold for you. Offering a multitude of investment options ranging from traditional to alternative investments, we work in a consultative, inclusive manner that incorporates your attitudes and goals as an investor to provide sound, objective advice in structuring and monitoring your portfolio. At RPg Family Wealth Advisory, the basis of our relationship with you stems from a deep and thorough understanding of your current situation, your future goals, and your personal values. We work with you to explore and define your objectives, your risk proclivities and attitudes, your family structure, your hopes and dreams. It’s only through this ongoing and holistic understanding that we can structure a wealth plan that is effective and unique to your individual needs, your family’s future and your personal legacy. Wealth planning is about more than your financial life; in fact, it’s about more than your life alone. As stewards for your wealth, we help ensure the growth and preservation of your financial assets so you and your family can live the life you’ve envisioned, and so that you can feel confident that your legacy will be upheld in the manner you choose. 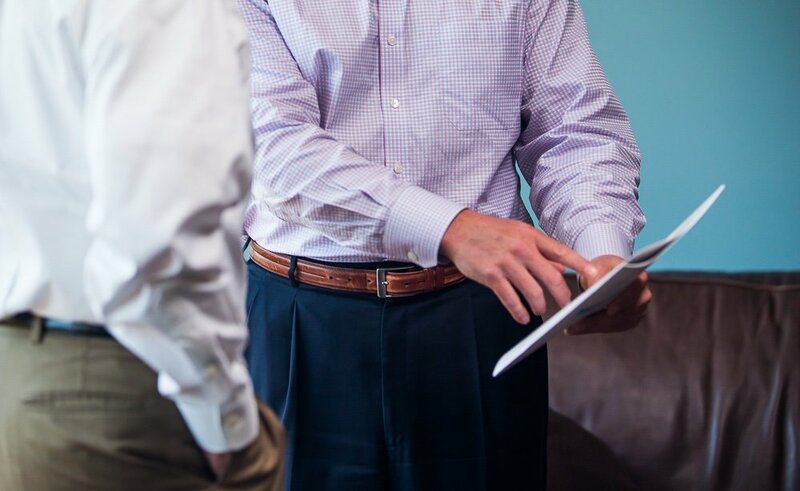 Working closely with your accountant and attorney, we connect the threads of your life to develop an estate plan that encompasses your financial assets, charitable goals and family needs. RPg Family Wealth Advisory, LLC is an independent multi-family office advisory group that provides comprehensive family wealth planning strategies and fiduciary services through a professional cadre of experienced and dedicated financial advisors. Through relationships based on trust and understanding, and the convergence of our clients’ values with our own values, resources and expertise, we help clients achieve their most important financial and personal goals. As stewards of your wealth plan, we put your interests first, acting with integrity and striving for excellence in every facet of our practice. As your trusted family wealth advisors, we are dedicated to helping our clients plan well, invest well and live well. RPg Family Wealth Advisory, LLC is a subsidiary of Risk Paradigm Group Holdings, LLC, a financial services firm that provides high net worth individuals, families, businesses, charities, foundations and endowments with investment advisory and management services. We have offices in Austin, Boston and Detroit. Through partnerships with many of the industry’s leading financial firms, RPg Family Wealth Advisory offers clients a spectrum of wealth management strategies and solutions. These include opportunities in the global capital markets, advantageous lending arrangements, investment banking, risk mitigation, insurance, family office, estate and tax planning services — and much more. Our relationships with premier asset management firms facilitate access to sophisticated investment opportunities in both traditional and alternative asset classes, as well as top quality research and analytical services. Through white papers, topical research reports and market commentary, we share insights with clients because we believe that the best decisions are informed decisions. We are dedicated to providing the financial education and ongoing analyses that can help you and your family participate with confidence in the wealth management process. © 2016 RPg Family Wealth Advisory. All rights reserved. Ben joined RPg Family Wealth Advisory in July 2016 as a Research Analyst, Portfolio Management Administrator. As a Research Analyst, Ben is responsible for supporting the firm’s Investment Strategists with top-down and bottom-up research using both quantitative and technical research techniques. He also assists the firm’s Head Portfolio Trader by trading all portfolios. Prior to joining RPg Family Wealth Advisory, Ben worked at Tactical Allocation Group as Analyst/Junior Trader. Ben is a Level I Candidate in the Chartered Financial Analyst (CFA®) program. Ben earned a B.S. in Communications from the University of Michigan while also serving for three seasons on the school’s football staff. Ben has also earned dual Master’s degrees in Business Administration (MBA) and Science in Finance (MSF) from Walsh College. He currently resides in Austin, TX. Jim joined Risk Paradigm Group in July 2016 as Senior Portfolio Manager, Co-Chair Investment Committee. Jim has over 40 years of experience providing financial advice to corporations, non-profit organizations and individuals. As Managing Director and Co-Chair Investment Committee, Jim is responsible for macroeconomic policy, which drives portfolio asset allocation decisions and is a member of RPg’s investment committee. Prior to joining RPg, Jim founded TAG, an independent Registered Investment Advisor. Prior to being an independent RIA, TAG was a boutique money manager within UBS Financial Services where Jim also served as a member of the firm’s national investment consulting services Advisory Council. Prior to that, he also worked at Kidder Peabody’s Detroit office as Director of 401(k) plans. 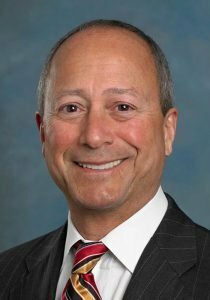 Jim served as partner in charge of taxation, employee benefits and personal financial planning for the Detroit office of Pannel Kerr Forster, an international accounting firm, where he authored the firm’s national policy on investment strategy for client financial planning. Jim earned a B.S. in Accounting with Minors in Economics and Philosophy from St. Louis University and earned his a Master of Science in Taxation (MST) from Walsh College. He is a Certified Public Accountant and a member of the American and Michigan Association of CPAs. Jim is also a published author, and was previously a frequent speaker and panelist at financial industry conferences and interview guest for television and print. He currently resides in Birmingham, MI. Mariann is the Chief Administrative Officer of RPg. She is responsible for the implementation of all administrative and operational activities for the RPg Asset Management. Prior to joining the firm in 2011, Mariann worked for Morgan Stanley Smith Barney as a coordinator for Alternative Investments and administrator for 16 years. She lives in Maynard, MA with her husband and their son. With more than 25 years of investment, portfolio and wealth management experience, David joined RPg Family Wealth Advisory in 2011. Prior to joining the firm, David was the Managing Director of the Twin Lights Group of Morgan Stanley Smith Barney, which specialized in the creation, implementation and management of standard and customized hedge fund portfolios. 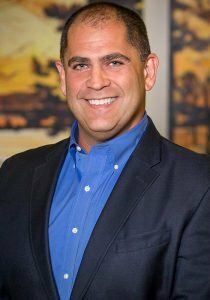 Throughout his career, David has built a reputation and track record based upon principles, expertise and client values. For the past 14 years, David has been customizing tactical strategies for his clients’ portfolios. He was an early adopter of Alternative Investments as a means to smooth volatility and enhance portfolio performance and served as a regional specialist for Alternative Investments at Morgan Stanley Smith Barney. Earlier, David earned the distinction of the Private Wealth Associate designation within Citi Family Office, an internal honor that was shared by fewer than 2% of the advisors at MSSB. David earned a B.S. in Business Administration from the University of Massachusetts, Lowell. Born and raised in New York City, David resides in Winchester, Massachusetts with his wife and three children. 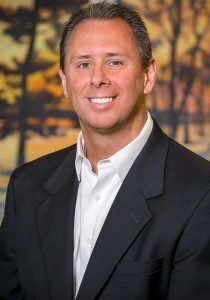 Chris joined RPg Family Wealth Advisory in 2010 as a Founding Partner, bringing to the firm 20 years of business and operations experience, including nine years of financial markets experience. As a Founding Partner, he has also served as Chief Operating Officer, President and Chief Compliance Officer. Chris entered the financial markets in 2006, when he formed Iknetics Capital Partners, an asset management firm. Three years later, he launched the ICP Endowment Stability Fund, a 3(c)1 multi-strategy hedge fund of funds. He began his career in 1995 in industrial plastics manufacturing. Chris earned a B.S. in Communication from the University of New Hampshire. He currently resides in Delray Beach, Florida with his fiancé and three children. Brandon joined RPg Family Wealth Advisory in 2015 as Chief Compliance Officer. Brandon has more than 15 years of experience in Investment Advisor and Broker-Dealer compliance, operations and financial services. As Chief Compliance Officer, his responsibilities include managing regulatory compliance initiatives, working with industry regulators during routine exams, monitoring and administrating compliance policies and procedures. Prior to joining RPg Family Wealth Advisory, Brandon worked for Wellington Management as a regulatory analyst monitoring regulatory changes and their impact on the firm. Earlier, he was a Compliance Manager at Morgan Stanley. Brandon also served as a financial services registered representative at JPMorgan, Charles Schwab and The Vanguard Group. Brandon earned a B.S. in Kinesiology from Arizona State University. He resides in Boston with his wife and two children. 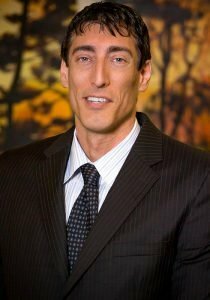 Robert joined RPg Family Wealth Advisory in in February 2012 as Director of Accounting and Technology. Robert has more than 25 years of technology, accounting and operations experience. In his current role as Chief Financial Officer, his responsibilities include managing operations and fund accounting as well as overseeing technology implementation and utilization. Robert launched his own consulting firm in 1997 to serve clients such as Kemper Financial, Zurich Investments and Abbott Laboratories, among others. Earlier, he worked in information technology consulting for Decision Consultants Inc. as Director of Field Services for the firm’s Chicago practice. He began his career at Arthur Andersen’s Professional Education and Development office in St. Charles, Illinois. Robert resides in the Chicago suburb of Geneva, Illinois with his wife and the youngest of their five children. Mark and his team joined RPg Family Wealth Advisory in 2011 as a Founding Partner and leads the firm’s wealth advisory team in Austin, Texas. Widely regarded as one of the leading wealth advisors in Texas, and a Million Dollar Roundtable-Top of the Table designee, Mark currently oversees all aspects of advisory group activity, including wealth management services, risk management, advanced tax and estate planning. With a career spanning more than 40 years, Mark founded Reinking Asset Management (RAM) in 1974 to provide high net worth clients a full array of products and services. He also conducts financial seminars and teaches Continuing Professional Education for Certified Public Accountants. He is a Registered Player Financial Advisor for the NFL Players Association’s Registered Financial Advisor program. Mark moved to Austin to attend the University of Texas and, like many UT alumni, has been fortunate to call Austin home ever since. He resides in Austin with his wife and together, they have made it their life’s work to raise their four children. At RPg Wealth Advisory, Jason’s responsibilities include research and analysis. In addition, he performs extensive due diligence on both prospective capital market investments and a diverse array of alternative investments including oil and gas, alternative energy sources, real estate, venture capital lending programs and lease equity programs. To determine suitability for RPg and its clients, Jason visits the headquarters of many of the companies that sponsor and manage the alternative investments to meet with firm executives and examine day-to-day operations. Once investments are made, Jason is responsible for monitoring and managing brokerage accounts as well as monitoring investment managers and performance. Jason began his career with RAM Financial Group in January 2001. Jason’s interest and acumen for investing began at age 14 when his parents opened an online account for him and allowed him to use the profits, but only to pay for his college education. Jason earned a degree in Finance from Texas State University’s McCoy School of Business in December 2001 as a member of the Honors Program. He lives in Austin with his wife and their daughter. Bill joined RPg Family Wealth Advisory in 2015 as Senior Director – Portfolio Management and Director – Wealth Management. Bill has more than 30 years of investment, portfolio and wealth management experience. Prior to joining RPg Family Wealth Advisory, Bill spent six years at Detwiler Fenton Investment Management as a Senior Managing Director and Senior Vice President and more than 25 years with UBS Financial Services (and predecessor firms Kidder Peabody and PaineWebber.) While at PaineWebber, Bill was the youngest Portfolio Manager in New England to be awarded PaineWebber’s title of Senior Portfolio Manager. He also qualified for the Advanced Financial Advisor Education Institutes – Investment Management Consultant (IMC) designation and has been named a multi-year Boston Five Star Wealth Manager (award winners announced in Boston magazine). Bill is active in a number of community and charitable organizations, including the North Shore Hockey Club, Hamilton Wenham Youth Soccer Association, United Way of Mass Bay and North Shore United Way where he currently serves as Co-Chairman. Bill earned a B.A. in Economics and Political Science from Denison University. 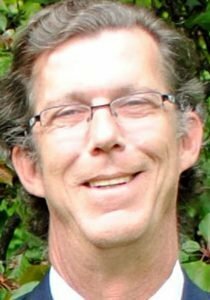 He resides in Hamilton, Massachusetts with his wife and two daughters. Mitch joined RPg Family Wealth Advisory in June 2015 as Director – Wealth Management and Director – Portfolio Management. Mitch has more than 20 years of investment and wealth management experience. Before joining RPg Family Wealth Advisory, Mitch spent six years as a Managing Director and Senior Vice-President at Detwiler Fenton Investment Management. Prior to that, he was a Vice President of Investments at UBS Financial Services Inc. In 2008, Mitch earned his Certified Investment Management Analyst (CIMA) designation through the Investment Management Consultants Association (IMCA) and, in 2014, his IMCA Advanced Investment Strategist Certificate in Portfolio Risk Management. He also was designated as a portfolio manager in UBS’ Portfolio Management Program and earned a certification in the firm’s Wealth Management Program. Mitch began his career as an Analyst at Goldman Sachs and later as a Research Analyst at Wellington Management. He holds the Series 7, 65, 24 and insurance licenses. He is a supporter of several area music organizations and is an accomplished pianist. Mitch earned a B.S. in Economics (High Honors) from State University of New York at Binghamton, and earned his MBA in Finance from the Wharton School of Business at the University of Pennsylvania. He resides in Hamilton, Massachusetts with his wife and their three boys. Sam joined RPg Family Wealth Advisory in 2011 as a Partner and Director of Wealth Management. Sam has more than 18 years of advisory experience and is an Accredited Investment Fiduciary Analyst™ (AIFA®). Prior to joining RPg Family Wealth Advisory, Sam served as Vice President – Investments and Senior Managed Account Consultant for UBS Wealth Services, where he was also a member of UBS’s prestigious Private Wealth Management program. He earned a B.S. in Education from Slippery Rock University in Pennsylvania and an M.S.A. in Sports Administration from Ohio University. He resides in Wayland, Massachusetts with his wife and four daughters. Hugh joined RPg Family Wealth Advisory in 2011 as a Partner and Director of Wealth Management. 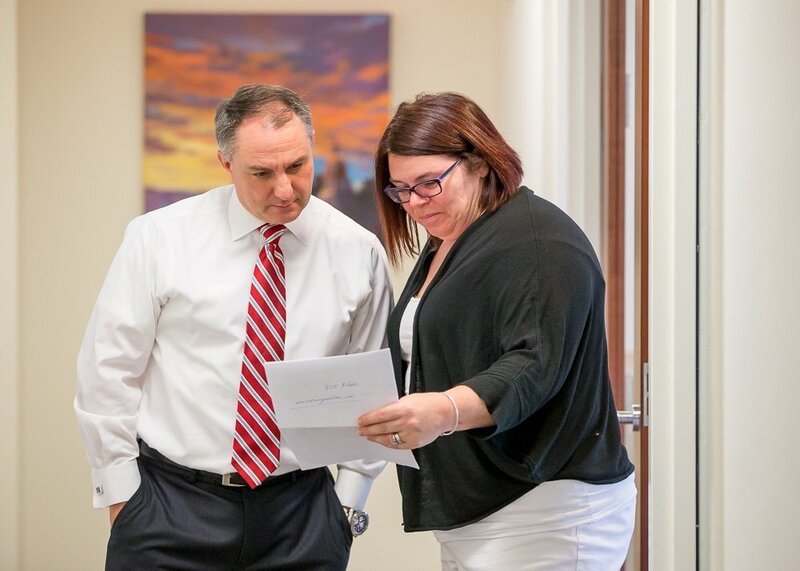 With more than 20 years of investment and wealth management experience, Hugh takes a holistic approach to financial planning that starts with listening to his clients and building an objective financial plan based on their specific goals. Hugh specializes in multi-generational family wealth, business and personal financial planning. Prior to joining RPg Family Wealth Advisory, Hugh spent four years at Morgan Stanley Smith Barney as a Financial Advisor. Hugh earned a B.S. in Finance from Villanova University. He resides in Andover, Massachusetts with his wife and two daughters. 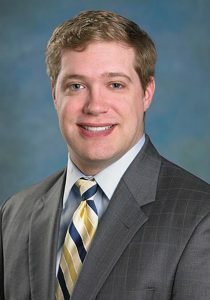 Adam joined RPg Family Wealth Advisory in 2011 as a Financial Advisor. Prior to joining RPg Family Wealth Advisory, Adam was a Financial Advisor at RAM Financial Group with responsibility for business development and client relationships. He has also held roles in banking, private equity fund raising and luxury real estate marketing. Adam earned a B.A. in Communication Studies from Texas State University in December 2006. He held many leadership roles on campus with Lambda Chi Alpha fraternity, International Fraternity Council, Campus Crusade and other University-sponsored philanthropic organizations. He is currently on the Campus Ministry Legacy Fund’s Board of Directors. Adam resides in Austin with his wife and daughter. 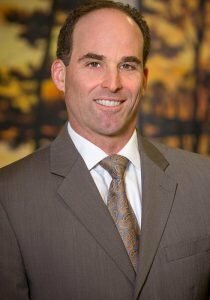 Adam joined RPg Family Wealth Advisory in 2011 as a Partner and Regional Director of the Austin Office. Adam began his career in financial services in 2007, motivated by his father’s success in the field. As a Partner and Regional Director, Adam’s main focus is creating and implementing investment and financial plans as an advisor for high net worth individuals and families. In addition to his CFP® (CERTIFIED FINANCIAL PLANNER™) designation, Adam is a Level II Candidate in the Chartered Financial Analyst® (CFA®) program. As a collegiate basketball player, Adam captained his teams at the University of California, San Diego and Hawaii Pacific University, where he obtained his B.S. in Business Administration. Adam is involved with the Austin Chapter of Young Texans Against Cancer, and coaches youth basketball teams, teaching the lessons of perseverance, work ethic and teamwork. He resides in Austin, TX with his wife and son. Certified Financial Planner Board of Standards Inc. owns the certification marks CFP® and CERTIFIED FINANCIAL PLANNER™ in the U.S., which it awards to individuals who successfully complete CFP Board’s initial and ongoing certification requirements. CFA Institute mark(s) are trademark(s) owned by CFA Institute. Drew joined RPg Family Wealth Advisory in 2014 as a Financial Advisor. Earlier, he worked for an energy trading and risk management consulting firm in recruiting and business development and was an executive recruiter for large oil and gas companies in Houston. Drew earned a B.S. in Business Administration from St. Edward’s University in Austin. He currently resides in Austin with his wife. Sharon joined RPg Family Wealth Advisory in 2011 as a Client Services Manager with responsibility for client services, high net worth concierge services and office management. 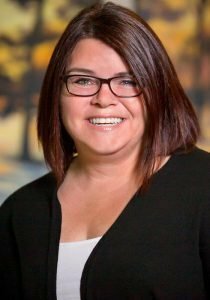 With more than 25 years tenure in the financial services industry, Sharon has worked at a large brokerage firm as both a personal assistant to several investment advisors and as assistant to their bank loan officer before joining RAM Financial Group in 1999. Sharon attended Angelo State University in San Angelo, Texas. She resides in Austin with her husband. With more than 29 years of experience, John joined RPg Family Wealth Advisory in 2015 as Director – Portfolio Management after a successful six years at Detwiler Fenton Investment Management. He started his career in public accounting with Herman & Herman CPAs and later worked at Arthur Anderson & Co. where he obtained the position of Senior Accountant. After eight years in public accounting, John went on to establish and manage a business-to-business services company. Upon the sale of his business in 2002, John pursued his passion for wealth management when he accepted a position with UBS Financial Services as a Financial Advisor. John joined TEG Partners while at UBS and then moved with the group to Detwiler Fenton Investment Management in 2009. Fluent in Spanish and proficient in French, John earned a B.S. in Accountancy from Bentley University. He resides in Burlington, Massachusetts with his wife. Darby brings more than 30 years of experience to RPg Family Wealth Advisory, which she joined in 2015 as Director – Wealth Management. Before joining RPg Family Wealth, Darby served as Vice President –Wealth Management at Detwiler Fenton Investment Management. 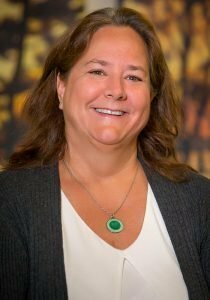 She started her career in wealth management more than 15 years ago when she joined Bill Eaton at Paine Webber (later UBS Financial Services) as an Investment Associate. While at UBS, colleagues Mitch Goldfeld and John Donabedian joined Bill and Darby to form The Eaton Group (TEG). While at UBS, Darby earned certification in UBS’ Wealth Management Certification Program. Darby attended Barnard College, Columbia University in New York. She currently resides in Newton, New Hampshire with her wife and their two rescue dogs. (Burlington, MA) July 28, 2016: RPg Family Wealth Advisory announced today the addition of Michigan based Tactical Allocation Group (TAG). 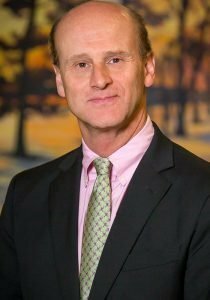 “Jim Peters is an early adopter in the Managed ETF space and has built an exceptional reputation over the past 30 years. Jim joining RPg FWA strengthens our planning bench and compliments our current culture and mission. We are delighted to have Jim joining our team”, said David Gatti, CEO and CIO of RPg Family Wealth Advisory. Jim founded TAG in 2006 to deliver thoughtful asset allocation models to his clients because he saw, early on, the many benefits of utilizing tools like Exchange Traded Funds within a Global Tactical Asset Allocation Model managed by experts. “I am excited to be joining forces with RPg Family Wealth Advisory. I find the ability to deepen and diversify our resources, increase our communication and deepen our investment team very exciting. Our process has always been focused on providing our clients the best possible solutions and we feel this combination creates a better set of solutions for our clients”, said Jim Peters. Information contained in this press release is for informational purposes only and is not to be considered investment advice or a solicitation for investment. (Burlington, MA) June 12, 2015: RPg Family Wealth Advisory announced today the addition of Boston based advisory team, TEG Advisors. “Bill, Mitch, Darby and John are a veteran advisory group with tremendous planning and investment expertise. I could go on about their individual professional accolades, but I find them to be even better people, which makes serving their advisory needs fun,” said David Gatti, CEO and CIO of RPg Family Wealth Advisory. TEG has an extensive background in portfolio management based off a philosophy that started with Bill Eaton in the late 1980’s. The team is deeper and more sophisticated today as they have attracted industry veterans Mitch Goldfeld, Darby Friend and John Donabedian. TEG delivers a number of investment management strategies to their clients to help them achieve their stated investment goals. “We are very excited to be joining RPg Family Wealth Advisory. We are both philosophically and culturally aligned with RPg. RPg can fully support the diverse investment management needs of our clients along with helping us deliver robust planning capabilities. Our team approach and RPg’s progressive view of the Wealth Management industry are complimentary and will help us service our clients better than ever,” said Bill Eaton.